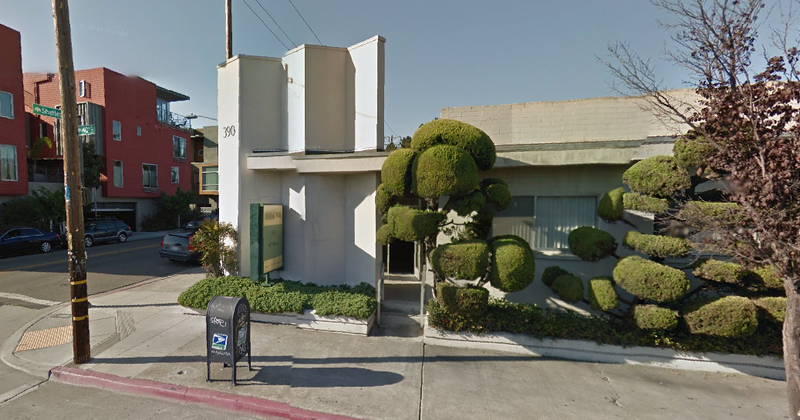 The East Bay's only residential drug and alcohol treatment center for adolescents could soon close its doors, prompting protests today against the facility's operator, Sutter Health, one of the largest nonprofit healthcare corporations in California. The Thunder Road Adolescent Treatment Center in Oakland has long provided a range of mental health and medical services for Alameda County teens and provides a critical opportunity for rehabilitation for youth caught up in the criminal justice system. But Sutter Health, which runs Alta Bates Summit Medical Center in Oakland, has recently argued that the program is too costly to continue, raising widespread concerns within Alameda County about the potential loss of this vital service for some of the most vulnerable youth in the region. Sutter and county health officials have said they are working to find a solution, but it's unclear how Thunder Road could keep its doors open without the continued financial subsidies from Sutter. A Sutter spokesperson sent me a statement this morning that said, "Operating Thunder Road is no longer sustainable — it lost approximately $5 million during the past five years." The Chronicle recently reported that county health officials have been in negotiations with Sutter Health as well as other potential operators for the last two years in an effort to find a sustainable way to keep the clinic open. 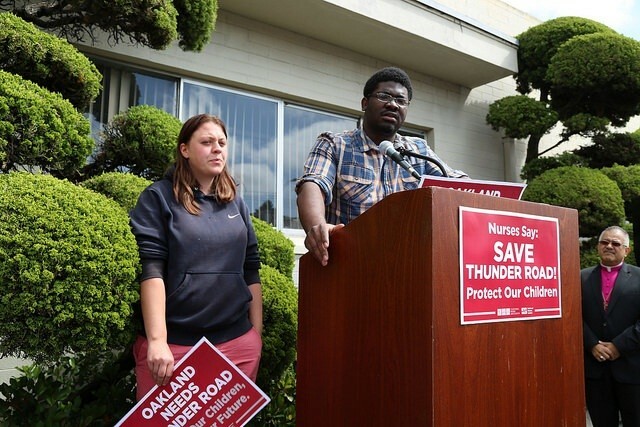 But in its statement this morning — in advance of a nurses' protest calling on Sutter to keep Thunder Road open — Sutter said that plans to have an outside operator take over recently fell through and that it is now working with the county to come up with a viable path moving forward. Advocates, however, have slammed Sutter for arguing that Thunder Road is not financially sustainable. One of the largest nonprofit hospital systems in the state, Sutter Health's total income — from day-to-day operations of its hospitals, care centers, and other services — was $419 million in 2014. As a nonprofit organization, Sutter benefits from massive tax breaks each year and is thus required to provide community benefits and medical care to the poor and uninsured. Nonprofit health corporations, including Sutter and Oakland-based Kaiser Permanente, have increasingly faced criticisms that they provide inadequate community benefits despite their tax-exempt status — the subject of recent Express cover story, "Fatal System Error." In response to those criticisms and proposed legislation seeking stricter community benefit requirements for hospitals, representatives of these healthcare nonprofits have argued that they already provide significant community benefits. Sutter Health, for example, has specifically cited Thunder Road as one of its official community benefit programs that justifies its annual tax breaks, prompting critics to question its current claims that it can't operate the clinic at a loss — especially considering its massive organization-wide incomes. Sutter has run Thunder Road since 1991. “Thunder Road is a vital community asset. Closing the center now would slam the door on hundreds of young people who need the critical services it provides and should not be thrown out on the street,” Deborah Burger, co-president of the California Nurses Association, said in a statement today in advance of the union's protest outside of the facility at 390 40th Street. “Sutter’s haste to cut the lifeline for this center symbolizes its focus on profitable services, not on ones that fill a community and public need. Thunder Road must be kept open." Protest today at Thunder Road. Sutter and the county previously worked to bring in Edgewood Center for Children and Families, a San Francisco organization, to take over Thunder Road, but those negotiations apparently fell apart. State records show that Sutter Health lost more than $730,000 on Thunder Road in 2013. State data also shows that a majority of Thunder Road patients are low-income youth and a majority are people of color. The clinic serves hundreds of teens a year — many who are homeless, in foster care, or caught up in the juvenile justice system — offering in-house treatment that connects disadvantaged teens to drug and alcohol counselors, pediatric services, and psychiatrists. On its Thunder Road website, Sutter has posted testimonials from clients discussing how the clinic has changed their lives. Thunder Road's nine-member board is expected to vote today on whether to continue operating the clinic. Correction: An earlier version of this post misstated a part of Sutter's statement. Sutter said that plans to bring in an outside operator have failed — not that efforts by the county have been unsuccessful.